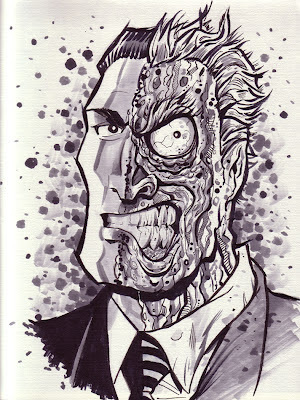 Here is a Two-Face piece I just completed. It's available for sale, $50 plus shipping. 8.5" x 11" sketchbook paper, ink and Copic markers. Just drop me a line if you're interested.